Ghosn has refuted wrongdoing through his lawyers, denying that he transferred personal financial losses to Nissan or acted in a way that constituted a breach of trust. Japanese prosecutors extended Carlos Ghosn’s stay in jail for 10 more days, another setback for the fallen auto executive who has sought bail to start mounting his defense in the case that has shocked the global auto industry. A Tokyo court approved the extension of detention until Jan. 11, The Foreign Press in Japan said in a statement Monday, citing the Tokyo District Court. National broadcaster NHK reported the news earlier. The ousted Nissan chairman is accused of understating his income by tens of millions of dollars and of passing trading losses to the carmaker. Lawyers for Ghosn declined to comment beyond confirming the extension. Nissan said in a statement it’s “not in a position to comment” on Ghosn’s detention and that its own investigation is “ongoing and its scope continues to broaden.” A representative for the Tokyo court couldn’t immediately be reached during holiday hours for a comment. 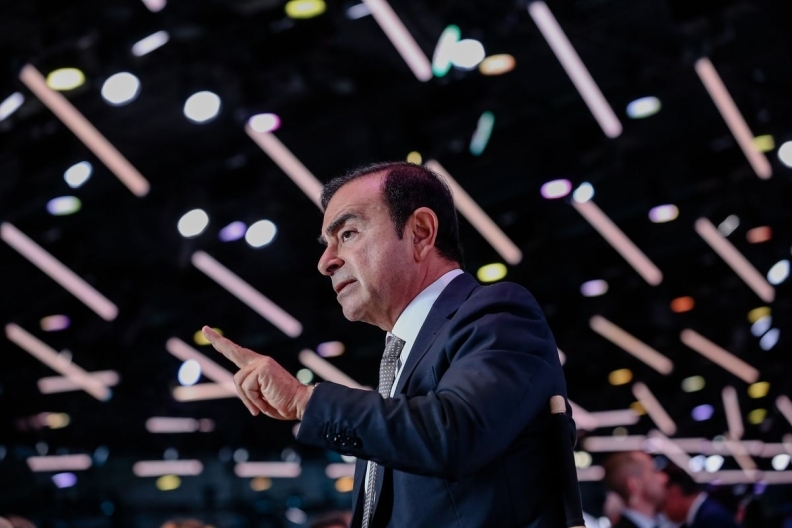 The arrest of the high-flying executive on Nov. 19 at Tokyo’s Haneda airport has rocked the world’s biggest auto alliance, raising questions over how the two-decade partnership between Nissan and French partner Renault will change after Ghosn’s downfall. While Nissan dismissed Ghosn as chairman shortly after his arrest, Renault has retained him as chairman and chief executive officer, saying it needs evidence of his wrongdoing. Since Ghosn’s arrest, prosecutors have repeatedly extended his detention and rearrested him over new allegations. Ghosn has refuted wrongdoing through his lawyers, denying that he transferred personal financial losses to Nissan or acted in a way that constituted a breach of trust. Ghosn’s lawyers have also said the claim that he under-reported his income is flawed because his compensation agreement wasn’t properly ratified. Ghosn’s aide Greg Kelly, who was arrested at the same time over his alleged role in helping the executive understate his pay, was released on a bail at 70 million yen ($634,000) on Dec. 25. Kelly has also denied wrongdoing, saying he will restore his name in court. Nissan has dismissed Kelly from his role as a representative director. If eventually released on bail, Ghosn’s movements would likely be restricted to his home or a hotel, and he would need court permission to leave the country, legal experts have said. Japan’s prosecutors have faced criticism for a lack of clarity and communication on how they are handling the case. The Ghosn drama has also raised questions about Nissan’s corporate governance, with the allegations spanning at least a decade. Nissan, as a company, was also indicted along with Ghosn for the pay understatement. Nissan CEO Hiroto Saikawa has sought to reassure staff that the carmaker is addressing governance shortcomings. Nissan’s board removed Ghosn from the post of chairman on Nov. 22. Renault, which is the biggest shareholder in Nissan, has refrained from removing Ghosn, instead appointing interim replacements. Renault’s most powerful shareholder, the French state, says Ghosn is presumed innocent until proven guilty and has demanded Nissan share the evidence it’s collated against him. Saikawa -- a one-time protege of Ghosn -- has emerged as a driving force in the carmaker’s investigation into the alleged wrongdoing by Ghosn and Kelly. Their arrests were the result of a coup by executives including Saikawa, Kelly’s wife, Dee Kelly, said in a video this month.